With energy prices on the rise and blackouts becoming more common, the idea of being independent and free from the grasp of the utility companies is an attractive one. But what does it really mean to go off the grid and what are the advantages of going off-grid compared to staying grid- connected? Going off-grid, what does it mean? 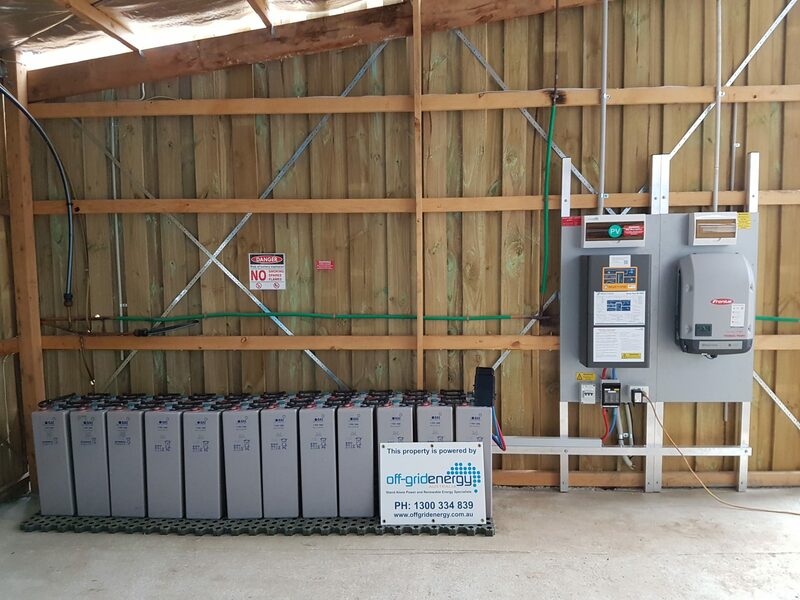 Most off-grid systems are installed in areas where there is a high cost to connect to the electricity grid – meaning an off-grid battery system is the cheaper option for reliable power. More recently, people who are already connected to the electricity grid are choosing to go off-grid because they are sick of rises power prices – and want some energy independence. So if you are considering converting to an off-grid system, what are some of the benefits? Perhaps the most obvious benefit of off grid living is that of gaining total energy independence. With the unpredictability and increase of energy prices in recent times, even if you are careful with your energy use, you may still be receiving high electricity bills. This is where off-grid systems come into play. Having an off-grid power system means you won’t need to pay fixed connection costs to the big utility companies or have ongoing power bills, and you can achieve 100% independence from electricity retailers – future proofing your home from rising energy costs. In addition, connecting to the grid if you live in a rural area can be extremely costly, and the hurdles you may have to jump over can be frustrating. Comparing the economics of going off grid vs staying grid connected can be difficult, what with the cost of solar and batteries decreasing, whilst grid power prices are increasing. So when you compare the two systems side by side, it appears that taking a grid connected house off grid is not very financially advantageous. One of the biggest advantages of being off the grid is that you are completely energy independent from rising electricity bills by locking in your power costs for the next decade at least. For those who are facing a costly network connection and/or those concerned about the unpredictability of energy prices, then going off grid might be the best choice for you. When you are connected to the grid and there is a power failure or blackout, there is literally nothing you can do about it, except wait until power is restored. With an off-grid system, you generate and store your own energy and so you are in control of your own system, so in the event that something was to go wrong, you will be able to fix it rather than relying on the network technicians. Solar and battery storage adds value to your property and is likely to make it easier to sell. 85% of Australians agree, and a number of studies also support this. We all know that solar energy is cleaner than using fossil fuels, so using a renewable energy. Another common comment and reason for many of our clients going off grid, is that there is also something satisfying about knowing that the energy you are producing is clean and renewable, rather than using grid power that is sourced from non-renewable sources. Overall, going off-grid has many great advantages and benefits. From saving you money to helping the environment. So, whether you’re just looking for a greener solution or want to cut the cord from the utility companies, off-grid systems are a great option.